One of the popular professional football Player is named as Sime Vrsaljko who plays for Spanish club Atletico Madrid and the Croatian National Team. He is a well known Croatian celebrity. He is famous for contribution in professional life. His is best at right back position. He is also the best defender. Currently, he is playing in Atletico Madrid. He had played for Genoa, Sassuolo and many more. He is right foot player. His Shirt number is 16. Milan Badelj is one of his best teammates. He is representing himself in Russia for the World Cup 2018 as a part of the Croatian team by showing his talent to all. Passionate and enthusiastic player, Sime Vrsaljko was born on 10th January 1992. He was born and raised in Rijeka, the city of Croatia. 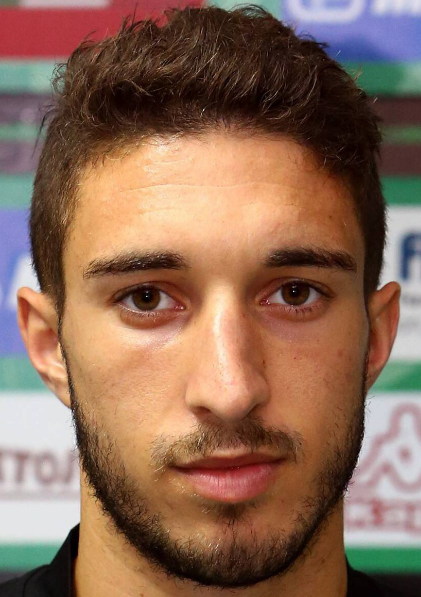 He is the son of Mladen Vrsaljko and Branka Vrsaljko, his father and mother. His nationality is Croatian. His astrological sign is Capricorn. He was very much interested in football since childhood. His hard work, striving got him picked for the youth systems of Croatian football clubs such as Zadar and Dinamo Zagreb. These are the two clubs which he represented in his junior level. Talking about his body, his height is 1.81 m. His weight is of 75 Kg. He has a balanced body with good health. In 2009, at the youth, he joined the team of Dinamo Zagreb. He then started playing the main team of Dinamo Zagreb. He was the part of the team which won the Croatian First League many times and also the Croatian Cup in 2011/12 and 2011/12 seasons. Then, in 2009, he was transferred to Lokomotiva, Croatian football club. He was transferred as the part of the loan deal. Later, he was transferred to the Italian football club, Genoa at a transfer fee of around €4.6 million in 2013. After that, again he signed with another Italian football club named Sassuolo. The transfer fee was €3.5 million. Now, Sime is currently playing for Spanish football club, Atletico Madrid where he signed a five-year contract in 2016. 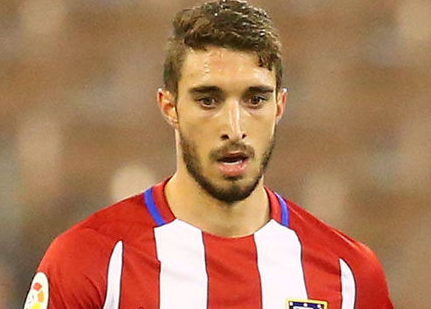 He was the part of the Atletico Madrid that won the UEFA Europa League for 2017/18 seasons with his team friends. Sime Vrsaljko represented himself in his national country, Croatia in both senior as well as junior levels in many tournaments. In 9th February 2011, he made his full senior international debut for Croatia against the Czech Republic. He has won total 37 caps for his national side. He had also played in U 15, U17, U18, U19, U20 and U21. His name was also enlisted in the squad of Croatian national team in this World cup 2018 Russia with Marko Pjaca, Ivan Strinic. He is currently playing in the World cup. He is the active player in this World cup. He had played altogether 5 matches till the Semifinal. And he may show up in the final too. Altogether he had made 0 goals in this World cup up to now. Sime Vrsaljko married man with Matea Vrsaljko in 2017. They seem to be very happy with each other. They also got two children named Mladen and Branka Vrsaljko. The net worth of Sime is estimated to have $8 million in 2018 with all of his properties and incomes. He is receiving an annual salary of $2.8 million from his present club and his weekly salary is € 54,000. He has a market value of £22.5 million as of May 2018.